Electronic databases, virtual tours, digital collections-all phrases commonly heard in the corridors of today's libraries. Although some may argue that our constant gaze towards the next innovation precludes a glance towards the past, University Archives sees the change with a slightly different focus. Eliminating walls provides each and every library with an opportunity to showcase its treasures to an ever-widening audience. This exhibit intends such a showcase for the MU Libraries. 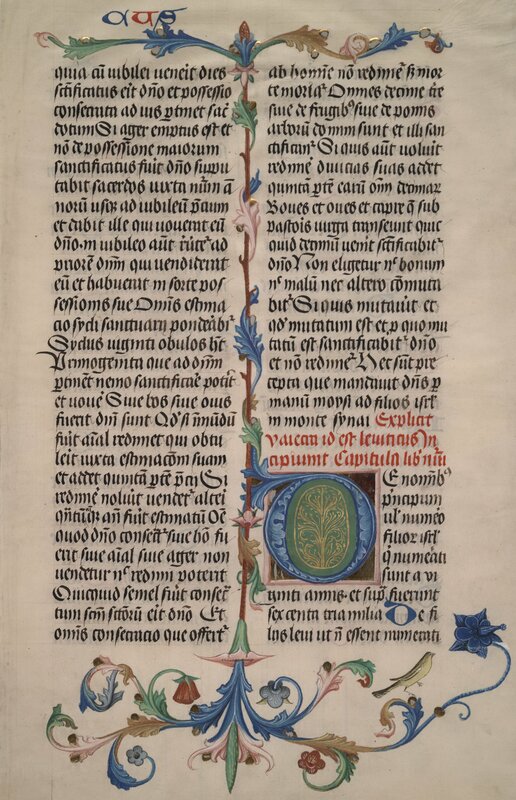 Digital collections are simply a new façade for a time-honored tradition. Libraries and librarians have been collecting and sharing knowledge for thousands of years. Writing systems are evidence of adaptations in society; its members choose to remain in one place and often formulate ideas of ownership. The need to describe personal property is first memorialized in clay. The following excerpt from Special Collections in Ellis Library shows an inventory of materials brought to the local temple. Babylonian Cuneiform Tablet ca. 2300-800 B.C. 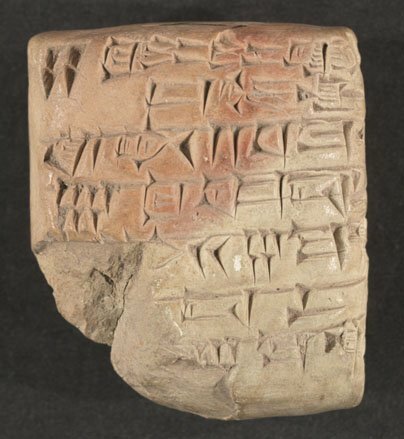 Cuneiform, one of the earliest writing systems, was created using long reeds pressed on wet clay. As a society expands geographically, numerically, and intellectually, the demand for organization and storage of its information grows proportionately. In the ancient library of Alexandria, for example, there was a register of every available book as well as a critical commentary of the contents. The preservation of intellectual achievements of prior generations has been an essential part of libraries' collections so it is not surprising that the first important donation to the University of Missouri Library was a complete set of Livy's Early History of Rome. Loci Theologici is the abridged title for the most recent gift to the MU Libraries. This 1591 ecclestiastical commentary, written in several languages, was donated in March 2003. This gift was shared in 1842 and was especially welcome, since the initial funding for the Library covered only apparatus and eight periodicals, including Bladewoods, Edinburgh Review, Foreign Quarterly, and North American. Though the University Library received book donations thereafter, no books were purchased until 1849, when President John Hiram Lathrop secured a $1250 appropriation for that sole purpose. From that amount, $900 was deposited by Lathrop in the vault of the Exchange and Banking House of William Nisbet & Co. in St. Louis, but disappeared in the hands of burglars on the night of March 23, 1849. Two St. Louis policemen and a vigilante whose life savings was among the approximately $15,000 stolen, captured two of the robbers on the Wabash River in Indiana over a week later. Though $5,965 was recovered, the robbers, while still handcuffed together, escaped one of their sleeping captors. By April 11, they were once again in custody. Fortunately, in time, the University Library was returned its full deposit. One of the unique collections in Ellis Library is the Comic Art Collection. This section from December 1946 - January 1947 is Alley Oop, Stage Coach Loot, part of the V.T. Hamlin Papers. The University continued to build its library collection at a crawling pace, since it lacked the enthusiasm and knowledge of a full-time librarian as well as a salary to secure such a professional. At one time, if a student wanted to check out a book, he was required to pay a small fee to the "Librarian." The Librarian was a faculty member who had a regular teaching schedule and provided a few hours of library service each week. For example, if the Librarian was teaching a Math class, the case for nearly a decade, the book stacks were closed until class was completed. Recovering the books, however, proved to be even more of a problem. One persistent librarian even collected books door-to-door, retrieving 94 volumes from student rooms and boarding houses. According to one annual report, students lost eighty-three percent of all books checked out. In the following year, administrators cautiously reduced the availability of library materials to Fridays only, from 2:00 to 4:00 p.m. Printed by Hans Lufft in Wittemberg in 1575, this copy of a Postilla by Martin Luther shows a chain clasp or loop along its top edge. 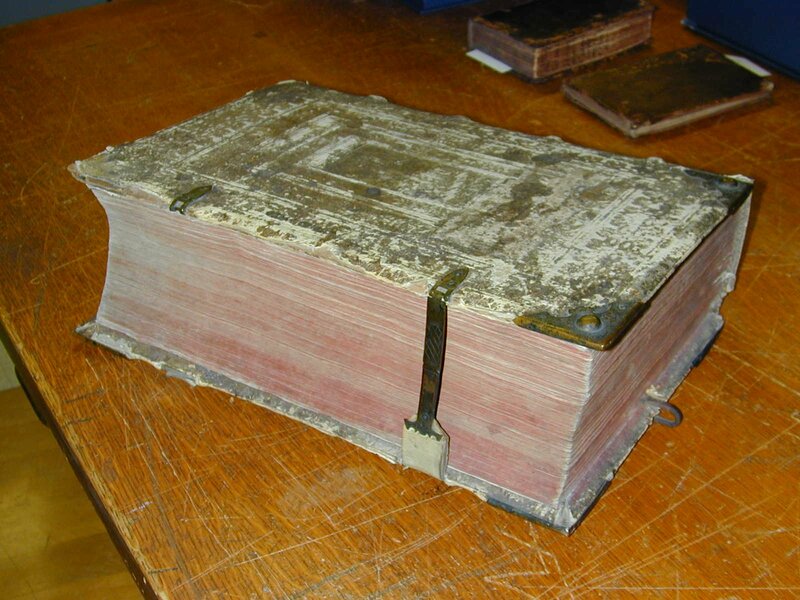 The book may have formed part of a ‘chained’ library where it would have been secured by means of a chain. The remainder of the nineteenth and the early twentieth century was spent in a nearly constant state of changing librarians, duties, and patron regulations to assure that the collection did not dwindle. Policy revisions intermittently opened and closed the stacks to both students and faculty. At one time, the Board of Curators required that all who checked out materials from the Library leave a monetary deposit; later, the Board added one dollar to student fees to cover Library materials. Ironically, only those books out to library patrons on the night of January 9, 1892 survived the burning of Academic Hall. All volumes in their designated place on the Library shelves were lost. Because of the small size of the Library collection after the fire and the fear that students were stealing books, the freedom of students to use books was again substantially curtailed. Books were not allowed to be checked out of the Library by either students or faculty, and with the exception of special permits, this policy remained in effect for more than fifty years. After the 1892 fire, the library had to collect all new books. The entire library fit into this one room of the new Academic Hall, completed in 1895. This photograph comes from a postcard held in the Hyde Family collection. Abraham Lincoln Hyde was a professor at the University and his son, E. Clarendon Hyde, served as librarian from 1956-1986. This book was checked out prior to the 1892 fire so it managed to escape the flames. It was, however, not returned to the Library until April 2, 1937. The Civil War affected the University of Missouri-Columbia and the entire country dramatically. The commencement of the war had an immediate impact on the Library, as Head Librarian and Chair of the Math Department, Edward T. Fristoe, abandoned his offices and joined the Confederate Army. He was the only University of Missouri-Columbia faculty member to join the ranks. The Board of Curators was so angered that Fristoe's salary was remanded, and he did not receive any payments until fifteen or twenty years later. There were 5,000 copies of the first edition of Uncle Tom's Cabin published in 1852, and they were sold in two days. There were long term consequences from the Civil War as well. The Union Army garrisoned troops at the University (1862-1865) and used the Library as a guard room. The University Librarian, Joseph Norwood, detailed the devastation. The result of the army's occupation was that 467 Library volumes were taken to construct fires. Norwood assessed the damages to the Library's collection at $1100.00. The army's destructive tendencies were not limited to the Library, however, and the Board of Curators, with Congressman James S. Rollins as their representative, sued for damages. When the U.S. government finally settled in 1915, the award was used to build the Memorial Gateway. A photograph of Memorial Gateway taken shortly after its construction in 1915. The fifth University of Missouri Librarian, Scott Hayes, (1877-1879) was well aware of the tragic destruction by fire of the Library of Congress, and thus appealed to the President of the University of Missouri-Columbia, Samuel S. Laws, to prevent a similar tragedy. Hayes must have realized that the appearance of a benefactor such as Thomas Jefferson was not likely to occur at the University of Missouri. Hayes made the case for the construction of a fire resistant building to house the University Library. He also created the first library card catalogue at Missouri and enriched the Library collections by acquiring the book collections of several University literary societies as well as the public library of Columbia. The Collegian was created by the Athenaean and Union Literary Societies of the University of Missouri-Columbia. The March 1858 issue postulates, "there are few better methods of improving the mind, than by committing thoughts to paper."